Dr. Michaelis does not pay to be on any review website - does your surgeon do that? Today it is easier to verify and review quality doctors, people, and services. Although, a referral is sometimes the best actual way to verify, reviews seem to offer some credible substance. Reviews are even more accurate if they come from various credible sources around the internet. Click on this to go directly to the overall search reviews for me. Latest Yelp Reviews – (Notice Doctor Michaelis does not advertise with Yelp therefore 200 % of his reviews are removed, however, you can still view these on non recommended reviews. I had my wisdom tooth pulled today and was recommended to go here. Front office was somewhat welcoming, she seemed more interested with her cellular phone rather than making me feel welcomed. She just fell flat from providing a welcoming first impression. As soon as I went in to see the nurses and Dr. it made up for the front office’s lack of friendly engagement. The back office made me feel as comfortable as possible, I suffer from slight anxiety but they really helped me relaxed by being genuine and uplifting with knowledge they provided and positive attitudes. This oral surgeon made sure he did his best to make me feel safe and secure and I beyond appreciated it. It was a smooth in and out process. I believe I paid a fair price for the quality work this practice provided. I am very happy and would recommend this establishment to anyone! Dr. Michaelis has to be the brilliant oral surgeon or I have the healing ability of Wolverine. I had my wisdom teeth removed yesterday, and except for some mild soreness, I’m feeling great. My family and friends are jealous that I’m not swollen or have “chipmunk cheeks”. You’ve got to follow his recovery instructions, icing on/off every 20 minutes takes some dedication but it’s worth it. The staff is incredibly friendly and makes you feel very comfortable during the entire procedure. Also, Dr. Michaelis is hilarious and that was before the laughing gas. Overall a great experience and I would highly recommend him to family and friends. I too had a dental extraction consultation with him about f7 days ago and he took great care to explain every step in detail to me as well. I am too am a baby and terrified of needles and just like the patient below I have never had surgery before. On the day of my wisdom tooth extraction I was completely comfortable the entire time and it was truly painless dentistry when I was in Dr. Michaelis’ care. He took extra care to calm me down, and get me through the entire process. Amazing doctor. If I could more than 5 stars I would. I took my son to him for oral surgery. He is an excellent doctor. I felt completely secure with my son in his hand. I would refer him to everyone. Dr. Michaelis is the very best. I had a wisdom tooth extraction consultation with him about four years ago and he took great care to explain every step in detail. I am terrified of needles and have never had surgery before. On the day of my wisdom tooth extraction (I’m lucky that I only had one wisdom tooth to begin with), I decided to forgo general anesthesia and just do the local anesthesia. Despite my terror and weeks of agonizing over the extraction, I was completely comfortable the entire time I was in Dr. Michaelis’ care. He took extra care to calm me down, and he was very gentle with administering the local anesthesia (NEEDLES!!). Once I was numb, I truly didn’t feel any pain as Dr. Michaelis worked on removing my tooth. He was thorough and did an excellent job (I say this because he told me afterwards that my wisdom tooth had many more roots than an ordinary wisdom tooth — I’m glad he removed everything and was careful about it so that I wouldn’t have future problems). Coming from me — who typically faints or gets physically ill whenever I have to get vaccinates or have blood drawn — Dr. Michaelis was the perfect doctor to perform my wisdom tooth extraction. I could not have asked for a better experience. Thank you. I haven’t had a lot of dental work done but found out one of my teeth had root resorption and would need an implant. I was a bit nervous before the procedure but Dr. Michaelis and his staff made everything extremely comfortable. They were very professional and knowledgeable and I knew I was in good hands. The implant procedure itself was painless and did not take as long as I thought it would. The area was slightly sore afterwards but I didn’t even need any pain medication. I went back a week later for a check and everything looked great! for the implant procedure. I would highly recommend their office. This will be yet another review that yelp will not recommend I am sure. Basically doctor Michaelis just changed my life. After a bad accident I was left without teeth. Dr Michaelis not only gave me my smile back but he gave me my life back. He is also the nicest doctor I have ever met. So go ahead and not recommend this review because he doesn’t advertise with you guys or ” you biased system screening dealio” it doesn’t matter as cream rises to the top. If I had known surgeons like him existed I wouldn’t have put off getting my wisdom teeth out. Was not nearly as bad as I expected, and could not have asked for a better experience. They even called twice to check on me. I hope I never have to see you again, but I’m saving your number just in case. Incredibly knowledgeable and a very nice doctor. Did an amazing job on my nephews mouth after a car accident. I would highly recommend. Its been two years since his accident and he is as good as new. I should also mention my nephew never complained of pain once. Dr.Michaelis has impeccable reviews so go see for yourself. Best dental implant surgeon in the OC!! Doctor Michaelis is by far the most well reviewed and decorated Oral Surgeon in Orange County. He has treated myself and is a advocate for patient education. He actually sits as an expert witness on behalf of malpractice cases when they are warranted. By no means is he in this field for anything other than helping patients. was actually referred to the oral surgery center and had the pleasure of meeting both doctors and talked to patients outside the waiting room. the person that referred me told me both doctors were very qualified to do my implant but felt one of the two were basically the creme DE la creme of oral surgeons. It took very little time for me to zone in on Doctor Michaelis as the orange county star. From consultation to the procedure to follow up, Dr. Michaelis was beyond expectations and professionalism and did an amazing job. Wow, I went to see two doctors in Newport beach and I gotta tell you if your going to see in a oral surgeon, this is the only choice. Doctor Tom Michaelis is a class act and is a very skilled oral surgery guru that was able to single handingly address my dental implant mishap I had cheaply done. DONT TRY TO GO CHEAP WITH THESE THINGS, hire a real surgeon to avoid the nightmare. 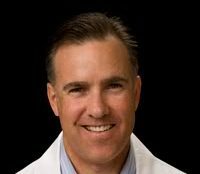 This oral surgeon is the best doctor in Newport Beach no ifs, ands, or buts. Doctor Michaelis is a down to earth and extremely knowledgable oral surgeon. He fixed my dental implant which i got done from another doctor without pain and without incident. Look at all the reviews from around the web. You can’t go wrong with this doctor in Newport Beach . I recently had to have a dental implant due to an accident, and must tell you I had a huge phobia of dentist and anything to do with dental surgery. In fact, even doctors I get nervous to see. Anyways I went in for the procedure because of the recommendation by my son and went through with it. In all honesty, I had no discomfort at all and was actually surprised when it was over as I really didn’t know it began. Great Doctor highly recommend. I was actually referred to the oral surgery center and had the pleasure of meeting both doctors and talked to patients outside the waiting room. the person that referred me told me both doctors were very qualified to do my implant but felt one of the two were basically the creme DE la creme of oral surgeons. It took very little time for me to zone in on Doctor Michaelis as the orange county star. From consultation to the procedure to follow up, Dr. Michaelis was beyond expectations and professionalism and did an amazing job. 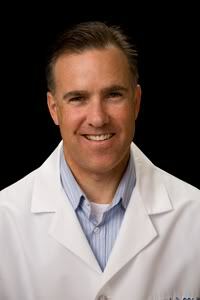 I just have to say that Dr. Michaelis sets the standard on oral surgeons in Southern California. His dedication to education of patients, his mannerism, and knowledge are at the foremost in superiority, great doctor. If you can believe it, he has a wonderful sense of humor that goes a long way to relaxing the patient… at least in my case. Excellent at explaining exactly what he is going to do. Which also sets one at ease. Excellent chair-side manner. Highly recommend Dr. Michaelis. You absolutely can’t go wrong with him. Dr. Thomas Michealis is extremely friendly. Very impressive that he is not only a D.D.S., but, also a M.D. He took his time with me, explained everything clearly. Everyone in the office is friendly and welcoming. The office is very clean and I was very impressed with the “after care” instructions just for getting a tooth pulled…very detailed to prevent any complications. Highly recommend, and I did my research first!! is a down to earth and extremely knowledgeable oral surgeon. He fixed my dental implant ..